Designed in the tradition of the masters, the Trenton features a pair of 12AX7 dual-triode preamp tubes driving the signal through a matched pair of cathode biased 6V6 power tubes. Inspired by the simplicity of the amp designs of the 1960’s, the amp controls are Volume, Treble, Middle and Bass. To address the needs of today’s guitarist, the Trenton boasts 4 distinct switchable voices through its hand-wired all tube circuit. The High/Low Power switchable output stage delivers a smoking 16 watts of dual 6V6 power or an apartment friendly 6 watts. The RAW switch disables the tone controls and takes you from the early 60’s black face era right to vintage tweed territory. 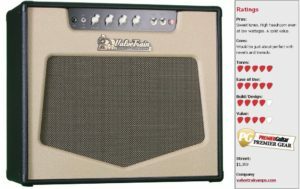 Using the various combinations of the Raw and Power switches, the player can access a pallet of tones that are inspired by the smaller amps of the late 1950’s and early 1960’s. The Trenton delivers a varied tonal spectrum from shimmering Black Face cleans through vintage Tweed crunch. 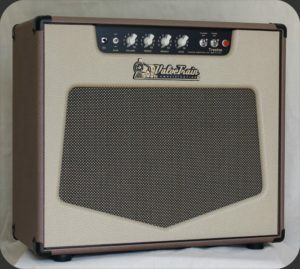 A quick flick of the RAW switch and guitar volume knob controls the full range of the Trenton’s voices. The Trenton is great for home, studio or small venues. Put a microphone in front of it and it will fill the largest of venues. Built with top shelf components, the Trenton is the real deal. 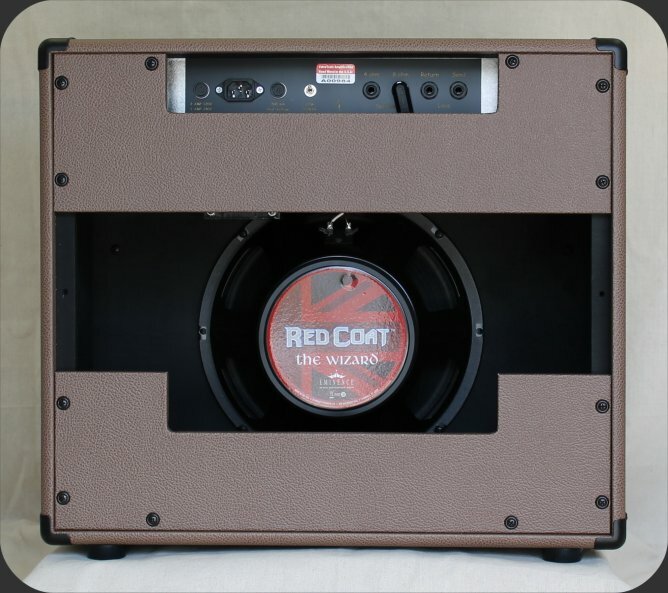 The Revolution Series amplifiers continue to prove that high value and affordable hand wired production amplification is still built in America. All of the major components including cabinet, transformers, speakers, board and chassis are proudly made in America. The amp is hand wired at our ValveTrain facility in Altamonte Springs, Florida. There are over 50 American small to medium size businesses in the supply chain behind every one of these amps. Copyright © 2005 ValveTrain Amplification,LLC. All Rights Reserved.